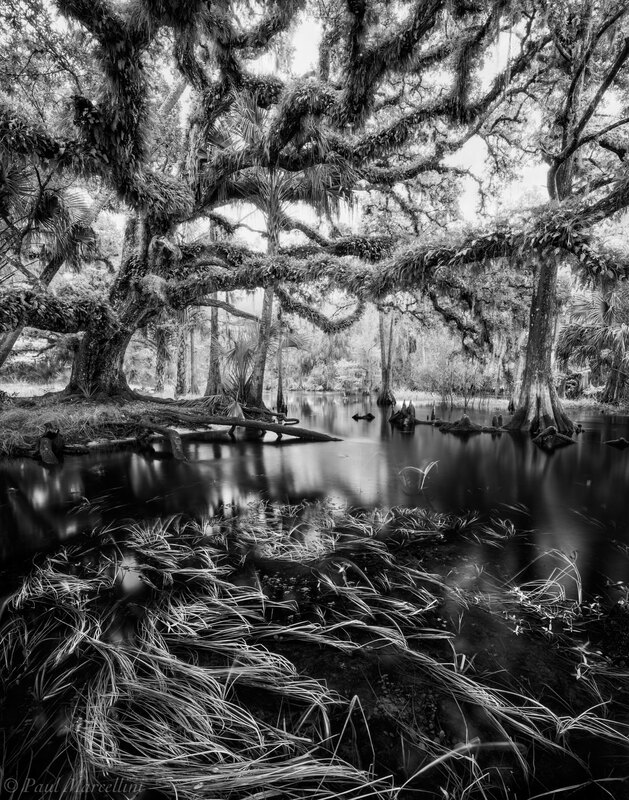 In central Florida is one of my favorite places in the state. Fisheating Creek is the last free-flowing tributary that feeds into Lake Okeechobee, the largest lake in Florida. 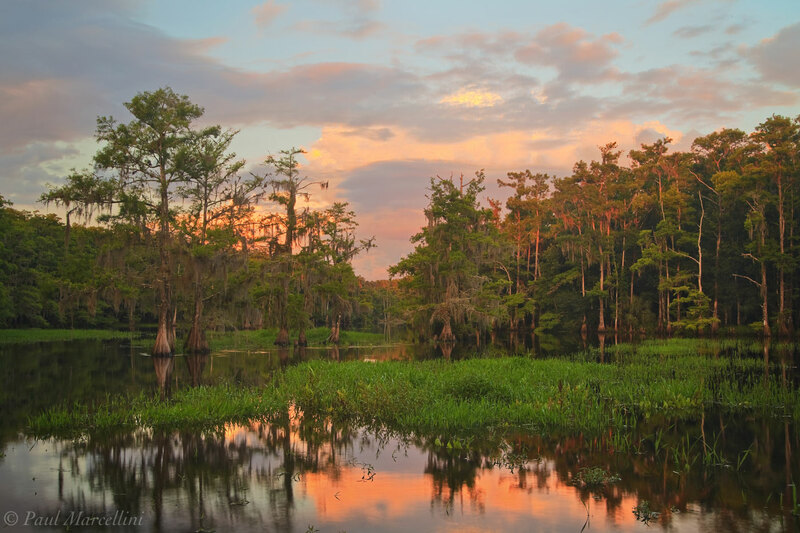 It offers over 40 miles of cypress-lined shore and is best explored by kayak or canoe. 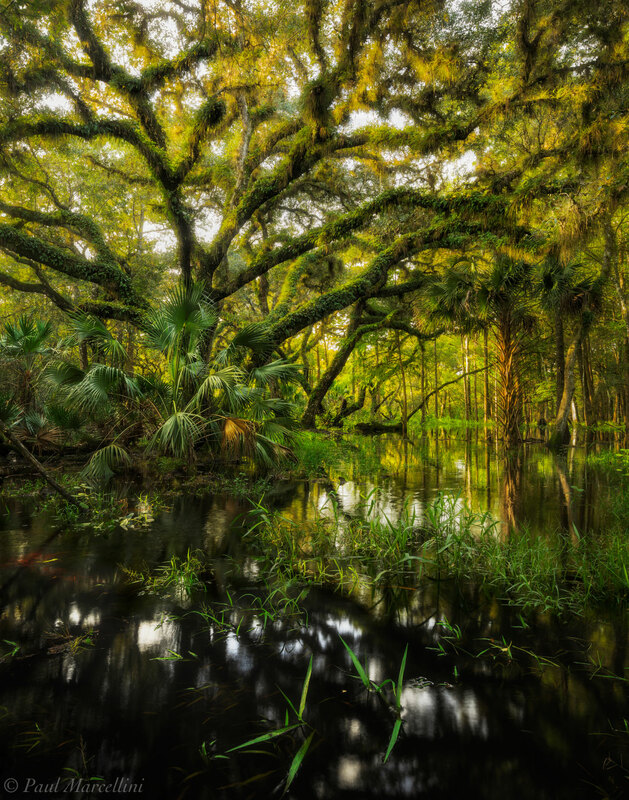 When out on the creek, you truly feel like you are going back in time, to an unspoiled Florida. The main access is at the Fisheating Creek Outpost in Palmdale. There you can launch a boat and explore on your own, or you can also have them take you 9 or 18 miles upstream so you can take your time and float with the current. The 18 mile trip is a great overnighter which allows a landscape photographer to plan a location for sunrise the day before and camp right at it. My favorite aspect of the creek is that the land bordering it is either publicly owned or part of conservation easements so you can camp anywhere. Another great thing about Fisheating Creek is how much the look changes as the water fluctuates. 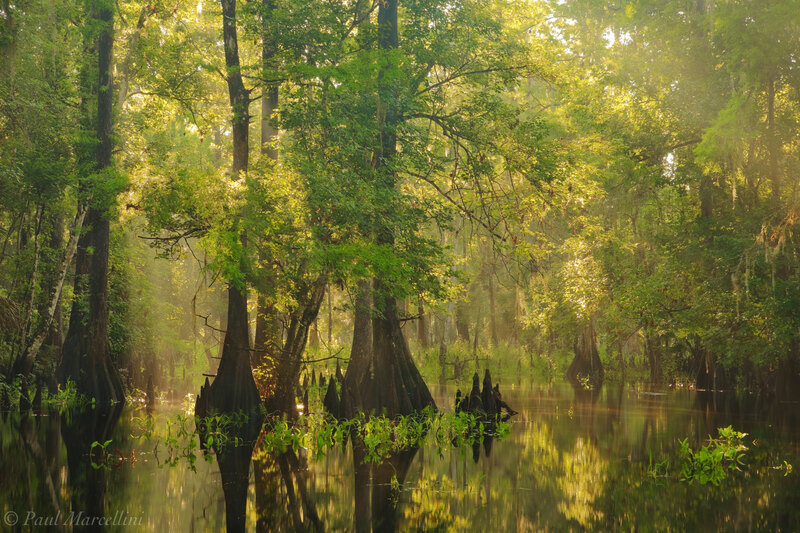 In high water in the summer wet season, the creek can overflow its banks and create a vast flooded forest. But in low water in the winter, the sandy banks are exposed as well as all the unique cypress bases and twisted roots and knees. Low water also concentrates the wildlife around the creek, allowing for views of deer, hogs, raccoons, multiple bird species, turtles and of course alligators. The cypress are also deciduous, so the whole landscape changes in color throughout the year. 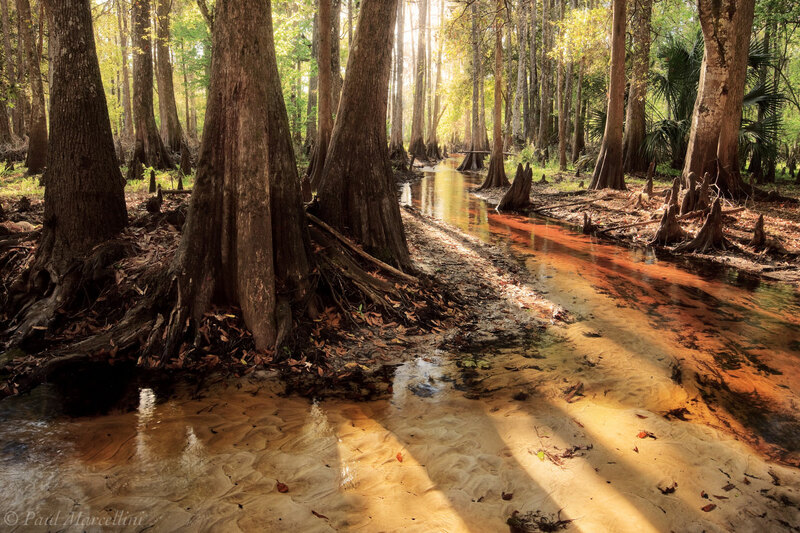 South Florida doesn't get the best fall color but with the right conditions, the cypress can take on a nice orange to rust tone instead of going straight brown. 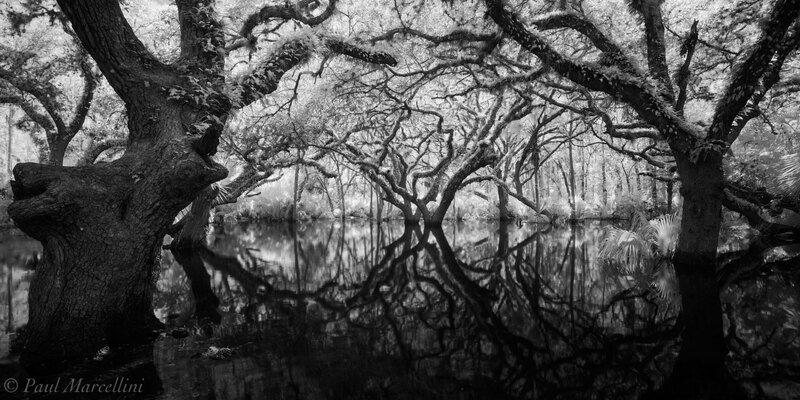 In the winter, it can be very barren, but that gives you an opportunity to create compelling black and white images emphasizing the architecture of the tree and the contrast of the white sand and the tannic black water. In the spring the fresh greens are amazingly vibrant and that black water reflects them very well. Inlcuded are some of my favorite images I have taken at Fisheating Creek and all are available as prints. After an extremely high flood, water crept up to these old oaks along Fisheating Creek. An old oak overhangs a swollen Fisheating Creek in the summer. 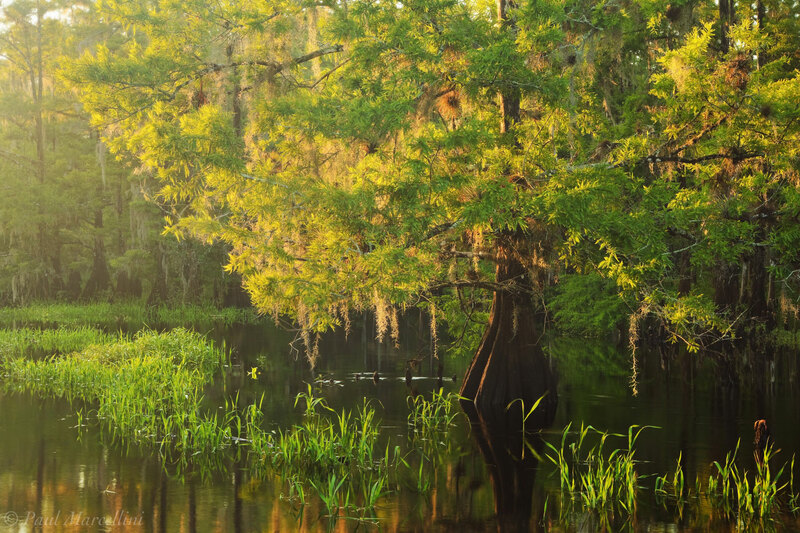 Morning light and high waters flood the surrounding oak hammocks around Fisheating Creek. From my campsire on a little sandbar, I was able to witness a beautiful sunset over the creek. Late afternoon sunlight causes the needles of a cypress to glow after a rain shower passed through. Off the main creek, this little flooded section of cypress swamp had wonderful afternoon light pouring in after a summer thunderstorm. 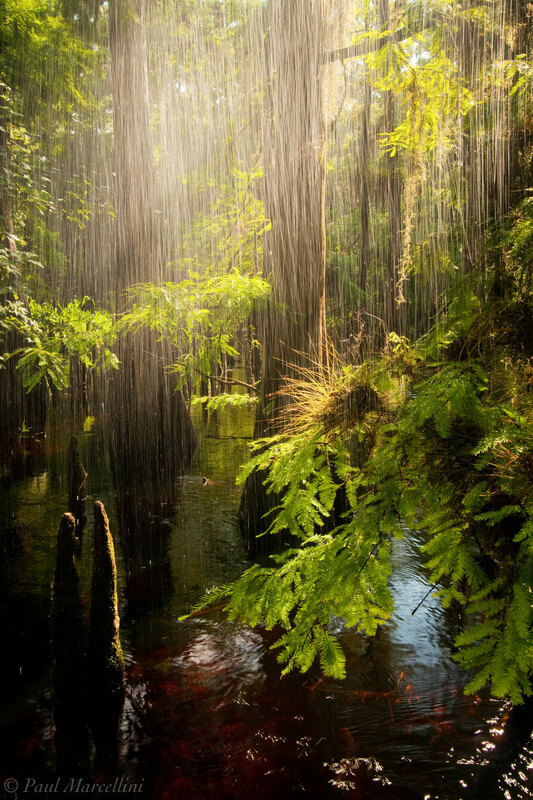 In the cypress swamp, as the summer rains came down, I captured this image of a veil of water glowing in the afternoon light. Bathed in afternoon light, a small stream flows into Fisheating Creek. The tannins in the water cast a golden shade over the sand. Posted in Locations and tagged fisheating creek, florida freshwaters, .